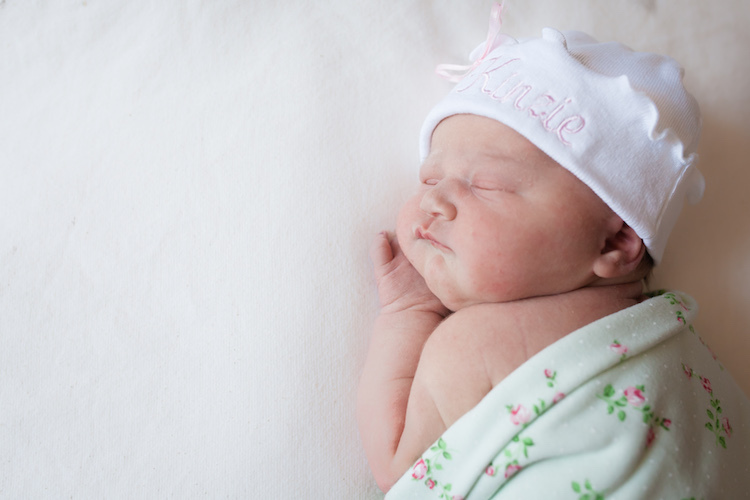 We welcomed our daughter, Kinzie Claire Regan, to the world on Thursday, June 23rd at 12:34pm (1,2,3,4!). 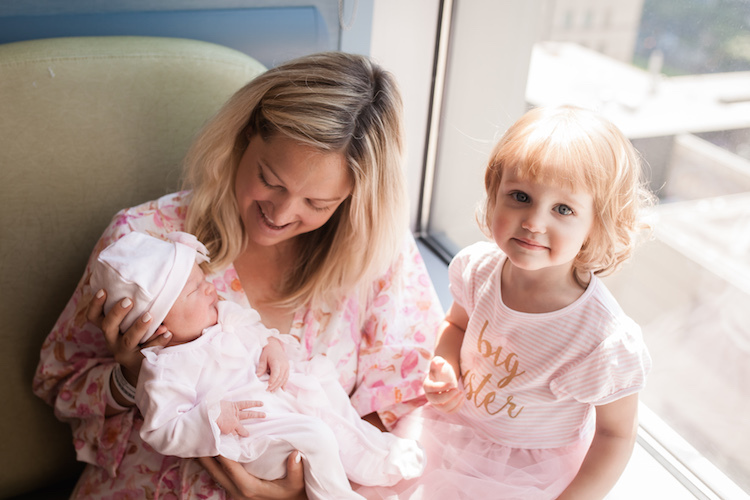 We were so ready for her arrival and couldn’t be more thrilled to have a new addition to our family. 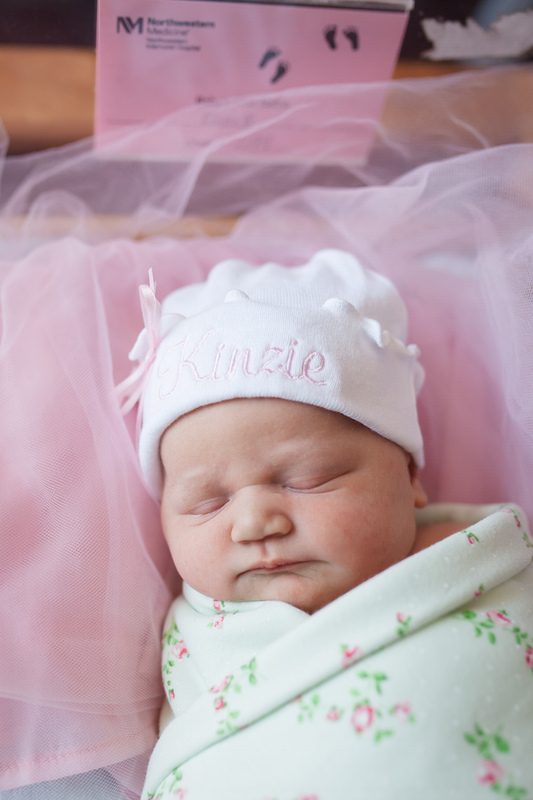 Kinzie was 8 lbs 2 oz and 21.5″ tall at birth. She loves being swaddled and held at all times. We took her to her first pediatrician appointment yesterday and she is in the 94th percentile in height. Tall just like her Dad and sister! 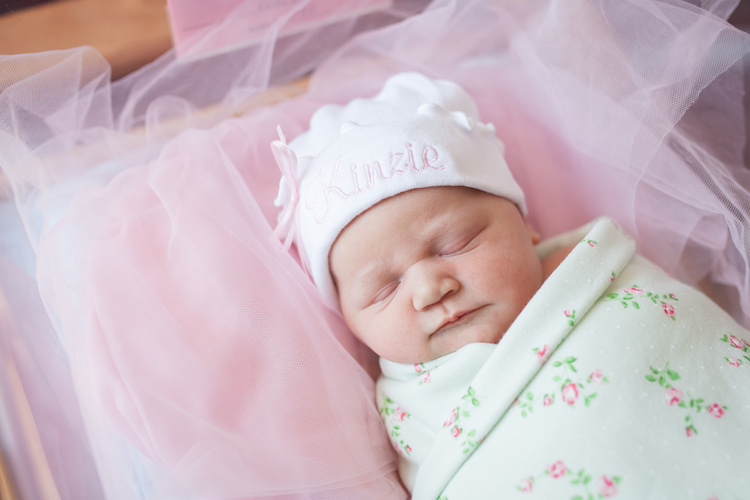 Kinzie is only 5 days old today and it is amazing how it’s already so hard to envision our family without her. 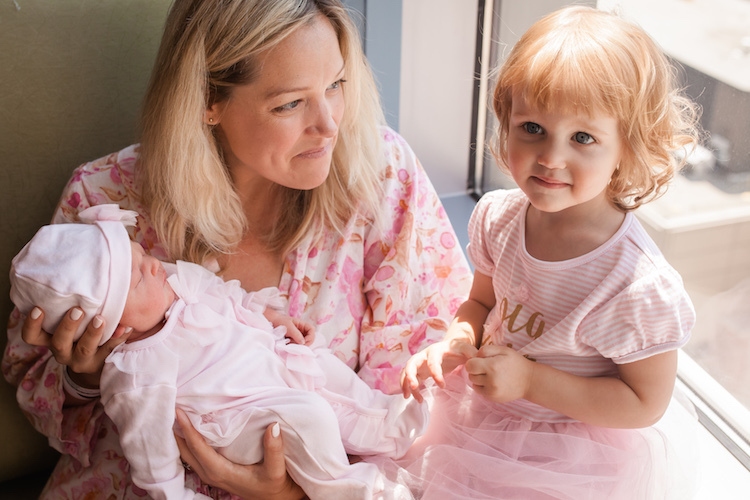 Taylor, who will turn 2 on Monday (the Fourth of July), is quickly adjusting to her new role as a big sister. 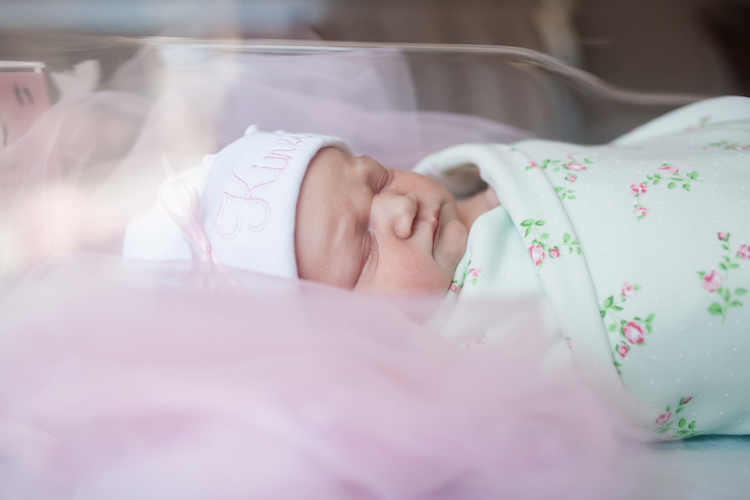 We tried “prepping” her as much as we could and it is wonderful to see her smile at Kinzie now. All of their interactions are melting my heart. Taylor is a little jealous at times which was expected but I already know we are in for a lot more heart melting moments to come! We brought extra outfits to the hospital for Kinzie and comfy pajamas and a robe for me. Also extra comfortable and cute swaddle blankets. I was ready to get out of the hospital gown ASAP this time. I also had this adorable personalized hat from Lizzie Roda’s Etsy shop. 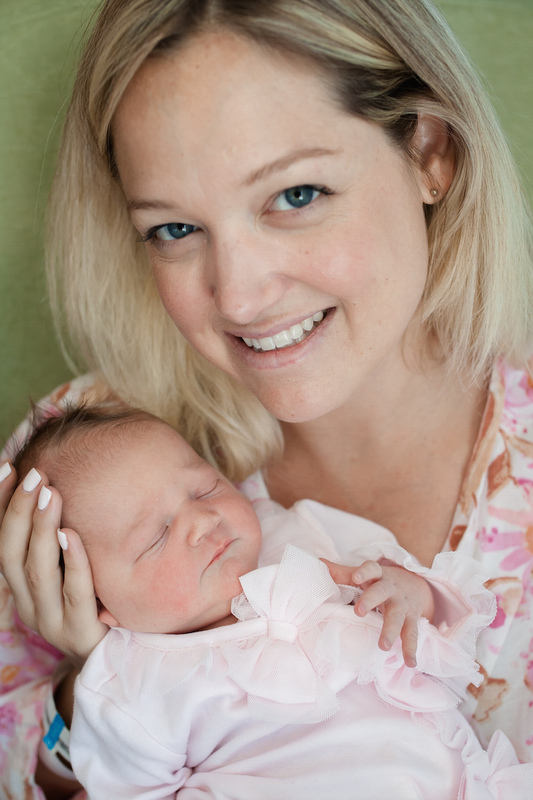 Becoming a mom for the first time when Taylor was born was exciting, exhausting and a bit overwhelming. 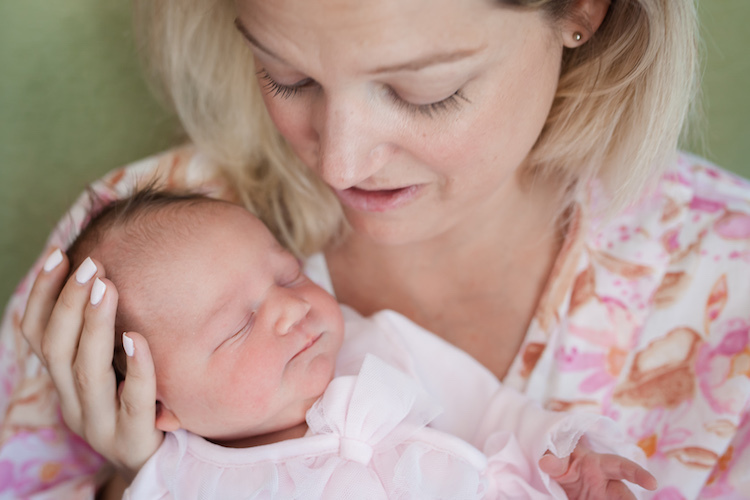 Learning how to care for a baby, recovering from a rough delivery, and everything being so new also caused some anxiety and stress. This time, I know what to expect for the most part and although I wouldn’t say things are easy, they are definitely not as stressful as with the first baby. We are enjoying every moment (especially the quiet ones). These past few days have been an exhausting but delightful blur of diaper changing, feedings, family visits and eating too much ice cream. I wouldn’t have it any other way! Thankfully we have had a lot of help especially from my mom and mother-in-law. I feel very lucky to have such a great family helping us out. I am definitely feeling like one lucky momma. In the car reading this now (pot roast in tow). Loved these tidbits and updates Sam. So excited to see Kinzie and Taylor in just a few minutes! Thanks Elisabeth! Hope to see you again soon! Congratulations Samantha! Kinzie is beautiful! 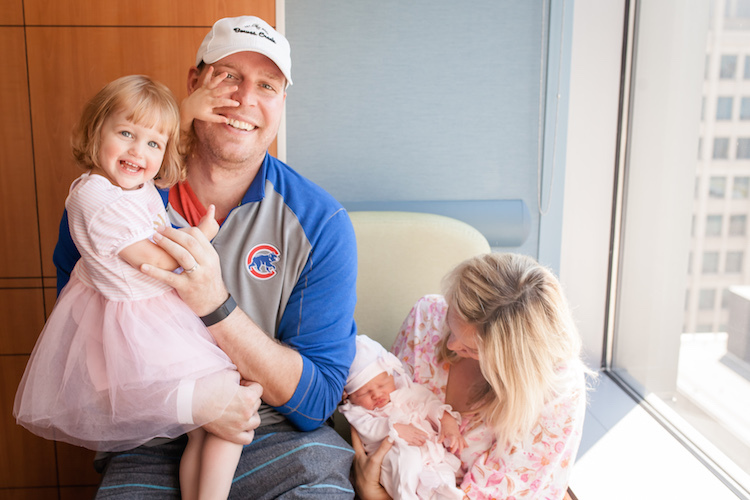 I can totally relate to your overall positive experience with your second daughter- I felt the same kind of joy and confidence the second time around. I hope your labor and delivery was smooth. I’m now at 37 weeks and even though this is my third baby, I’m scared of labor. I think it comes from knowing exactly what to expect! lol. I’m wishing you a smooth recovery and blessed early weeks with your newborn and your family. Enjoy all the pampering too mama, you deserve it. You are so sweet Angela! Thank you!! I was the same way about labor which is totally understandable. I wish you the best in the next couple weeks – almost there! !